This is a spoiler free review! Read on! Katniss Everdeen has once again just barely escaped death in the arena, but this time her rescue is due to the rebels in District 13. Katniss should be happy that she has powerful allies that are willing to fight the Capitol, but it doesn't take long for her to realize that like the Capitol, District 13 is only interested in using her and making her the face of the rebellion, the Mockingjay. Katniss is sick of being someone's pawn, but the rebellion can't be won without her participation. The only question now is whether or not Katniss is willing to risk the lives of everyone she holds dear in order to bring down the Capitol and if she can face the consequences. 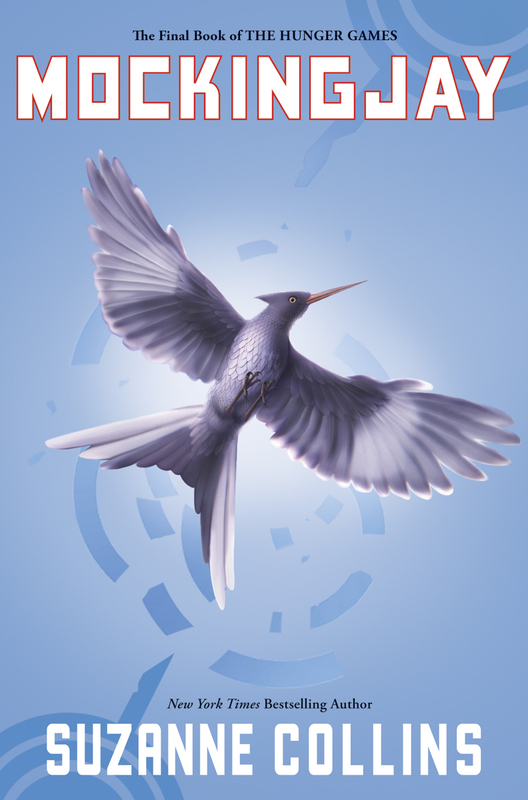 Mockingjay is an explosive and emotionally turbulent conclusion to the Hunger Games trilogy. Though it certainly isn't lacking in action, Collins does focus more on Katniss's emotions and her resentment at being used by everyone—the Capitol, District 13, and even those close to her. And though Katniss and her district have found refuge in 13, she and Gale (who, some readers will be happy to see, has a lot more face time in this installment) find that 13 isn't above reproach. This forces Katniss to think hard and carefully consider her course of action and its affects, and pursue the truth, no matter what. Collins exhibits some excellent character development as the war rages, testing Katniss to her limit, and revealing less admirable qualities in other characters. How each person reacts to the mounting pressure really drives home the issue of how serious, dark, and tortuous war is. Too many people die, relationships are altered, and the living are irrevocably changed. The pace of the novel is a little slow at first, but tension quickly mounts as the rebels' plans are carefully revealed, Collins throws in a few unexpected, heartrending twists, and the answers to numerous questions, many pertaining to the Capitol and President Snow, come to light. All this builds up to a gut-wrenching and suspenseful race through the Capitol with a shocking outcome that will allow Katniss the chance to break free and make her actions entirely her own. 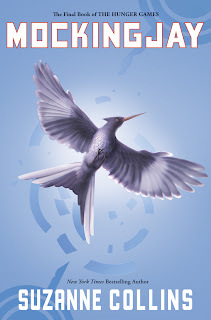 Mockingjay might not be what readers will expect, but it is a strong and powerful reminder that violence and death aren’t a game and shouldn’t be treated lightly, and it reveals the physical, emotional, and psychological effects of war. Time and time again Katniss has proved herself to be a strong and admirable heroine, and though the conclusion of this trilogy may be bittersweet for both her and the reader, the final pages will leave a lasting impression on readers in the weeks to come. Cover Comments: I really am a fan of the design of these covers! Though the blue wasn't what I was expecting given the black and orange of the previous covers, it has grown on me and I like it a lot! Please don't reveal spoilers in the comments! If you are interested in discussing what happens in the final book with other readers, please go to the Mockingjay Spoiler "Safety Page". I just finished Mockingjay. I agree 100% with your review. I have to say, I'm still mulling it over! This was an intense final book, but i loved it, everything about it. I LOVED this book but what happened at the Capitol still pisses me off when I think about it. But the very end was great. Hated Gale. I agree with the review. Full of power and grace. It was a phenomenal ending to the Hunger Game series. This is by far the best of the three books.